"Shanti Jatra Full Moon Festival 2011" (3 Days 2 Nights : Nepal - October 11,12,13 - 2011) is back with a brand new avatar. 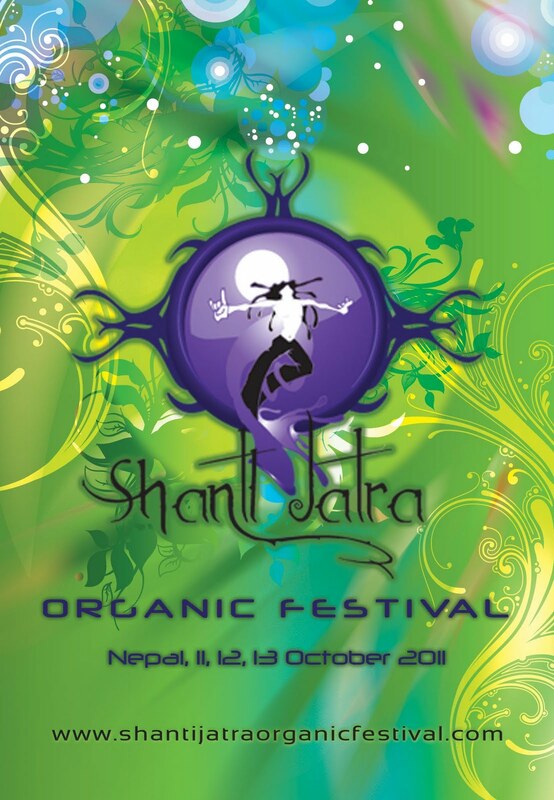 The Shanti Jatra Organic Festival Nepal: October 2011, is all set to be a vibrant and upbeat celebration of music, food, and creativity. Wonderful things manifest when you are in tune with the ebb and flow of life. Organics is the understanding of this finely tuned structure be it an expression of the arts, food, wine, spirituality, business or environment. South East Asia's premier alternative electronic music festival is back! Two years after the untimely demise of one of the founding members which led to the festival being cancelled, the crew took some time off to regroup and thought over to recreate the magic of this wonderful gathering. The result, an interesting and fresh concept based on organic life style emerged along with supporting Visit Nepal Tourism Year 2011. Along with the 2 stages, Main (Dance) and Chill, there will be another stage called New Age Arena where there will be Group Shamanic healers from worldwide, Workshops on Organic life style, meditation and group yoga sessions. Organic food stalls , organic bar and display of organic food grown in Nepal will be the other key areas of this gathering. As always we will provide an eclectic and diverse lineup for the main stage and chill wherein all the genres and sub genres converge into one. Our motto will and always will be the same, that We are one! Our aim is to create the colourful setting with the same amazing and friendly vibes, which captivated many imaginations thoughts in our previous editions, in a new and exciting way under the breathtaking landscape of Nepal. Come join us once again to recreate those magical moments. We welcome you back! More acts to be added.. IMPORTANT : We are aware of the fact that a lot of people had purchased the tickets for the previous edtion and were not issued refunds. PLEASE NOTE THAT ALL THOSE WHO PURCHASED THE TICKETS FOR SJ 2009 , will keep the same for this edition and entry will be FREE! In case you do not wish to participate, please do get in touch with us immediately and we shall refund the amount through the family of Rodney Mathias, who is taking care of the refunds. Supercharge Me : A Documentary About Raw Food Diet ! what are the dates for 2012? What are the dates for 2012 ?